The Association sponsors a Reunion, Annual Meeting, and Picnic to conduct business and provide social opportunities for members. This revolving meeting moves around the country in an effort to allow all members, no matter what part of the country they live in, the opportunity to attend. 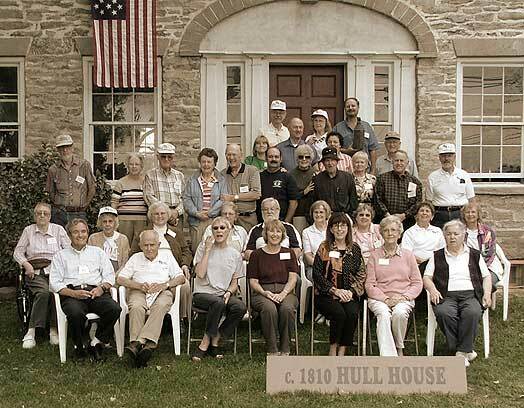 Our first annual meeting was held in Bucks County, PA, in 1986. Subsequent meetings were in Irvine, CA; Bucks County, PA; San Diego, CA; Arlington, VA (twice); Dixon, CA; Courtland, NY; Kansas City, MO; Plant City, FL; San Jose, CA; Des Moines, IA (twice); Norfolk, VA; Manchester, NH; Santa Rosa, CA; Lafayette, LA; Allentown, PA; Salt Lake City, UT (three times); Buffalo, NY; Branson, MO; Phoenix, AZ; Fort Wayne, IN, Independence, MO, Grapevine, TX, and Rancho Cucamonga, CA.